Choose from 1-1/4" or 2"
Give yourself extra room in your vehicle with the Curt trailer hitch cargo carriers. Available in a variety of styles to choose from you will be able to select the one that best suits your needs and budget. 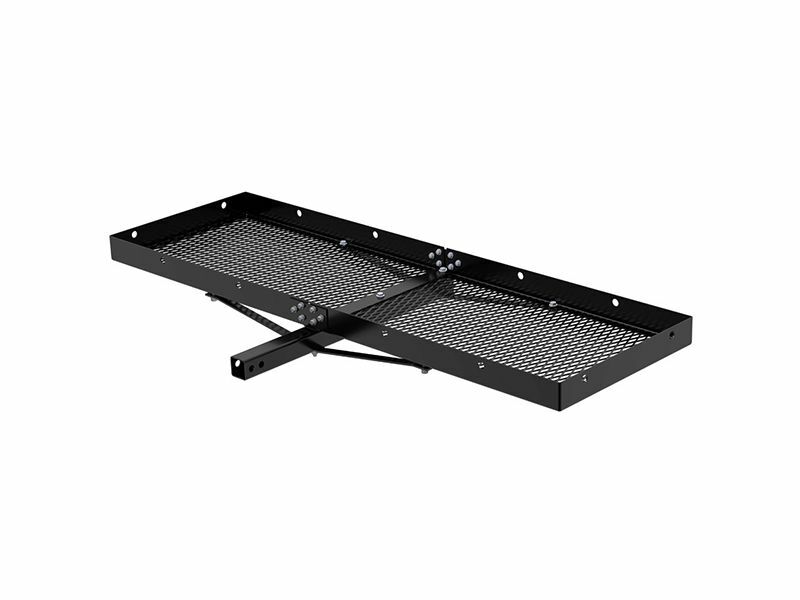 You can choose a basket style cargo carrier or you can choose a standard receiver hitch cargo carrier made with either black powder coated steel or aluminum components. All of these Curt cargo carriers install easily into any 2" or 1 1/4" receiver hitch, adding as much as 1200 square inches of cargo space with load capacities up to 500 pounds. Having one of these Curt trailer hitch cargo carriers gives you plenty of room and options. Whether you are a hunter and want to carry your trophies to a soccer mom needing extra room for bags, you will be pleased with the endless opportunities you have to use it for. Curt cargo carriers offers a one year warranty against defects in materials or workmanship on their trailer hitch cargo accessories including all of the various cargo carrier styles available. The Curt trailer hitch cargo carriers are featuring an easy installation. There is an installation manual that is sent with these hitches, offering clear cut and easy to read instructions. For additional information please call us at 1-877-216-5446.